Gluten Free Baking Bear: GLUTEN FREE STOVETOP MAC AND CHEESE can be made Dairy Free and Vegan too! 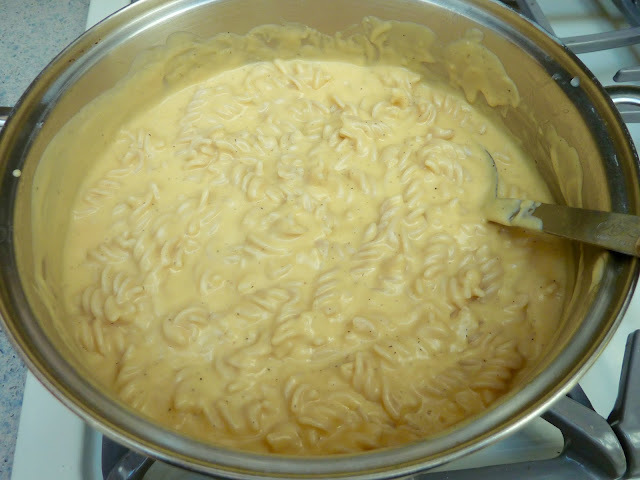 GLUTEN FREE STOVETOP MAC AND CHEESE can be made Dairy Free and Vegan too! It is summer here and quite hot and humid. I will be moving in about a week. Everything in the house is in a bit of an altered state. Lots of boxes and many things packed and unpacked all about. We still have to eat. I have been making meals from what we have in the freezer and cabinets (less to pack). This stovetop Mac and Cheese is easy, fast and satisfying, not to mention totally yummy! I had a pack of Tinkyada brand spiral pasta on the cupboard. This brand of rice pasta is my favorite because it tastes great, has a perfect texture and no one knows it is GF. I prefer the rice pastas to the corn ones. The corn pasta tastes good, but it is very different from regular pasta in taste and texture. Sometimes I just want the ‘real’ pasta experience. I have made this recipe many times, but I usually bake it. The stovetop version is very creamy. I have also made this recipe using oil for butter and vegan cheese in place of dairy cheese. It gets rave reviews from my vegan son and dairy free friends. The vegan parmesian cheese is a key ingredient for making the dairy free version of this dish. GF pasta. Elbows, Small Shells and Spirals work best. I use Tinkyada brand rice pasta. For Dairy Free or Vegan use Oil such as olive or canola. For Dairy Free or Vegan use non dairy milk such as almond, rice, soy or coconut. Grated Cheese - cheddar and or jack work well. For Dairy Free or Vegan use dairy free or vegan cheese. I like to use the Daiya mozzarella. For Dairy Free or Vegan use dairy free or vegan parmesian cheese. I like to us the GoVeggie brand. Add a tablespoon of oil to the pot of boiling water and cook the pasta according to directions on the package, but undercook it by 2-3 minutes so that it is al dente. The pasta should be just done: firm, but not crunchy inside. When the pasta sits in the sauce it will get a bit softer, so be careful not to get the pasta mushy to start with. Drain. If the sauce is not ready and the pasta will have to sit in the pot for a while, rinse with water to prevent it from sticking and clumping together. Return the cooked, drained (and rinsed if needed) pasta back to the empty pot. Heat butter or oil in a large saucepan over medium heat. Heating butter in a saucepan. Add the flour and stir until the mixture thickens and gets fragrant, 4-5 minutes. 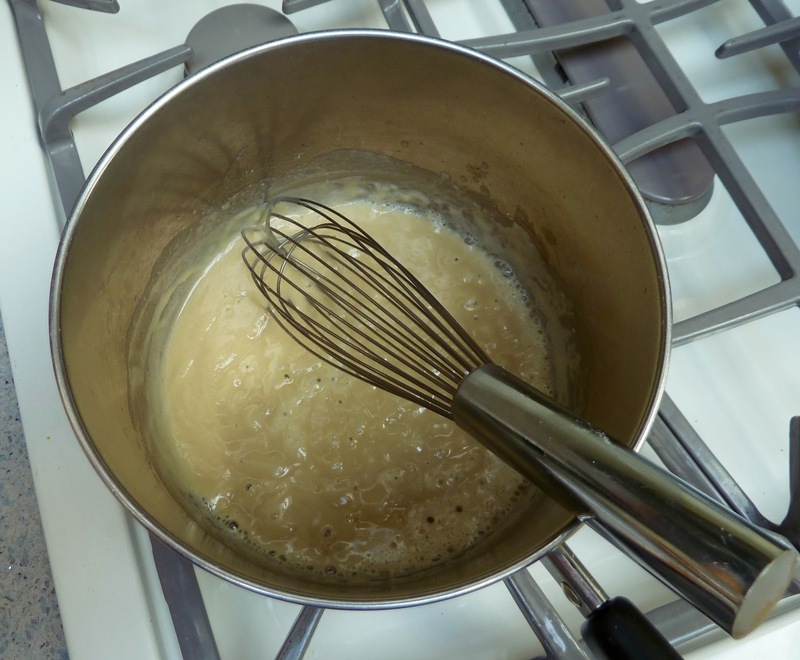 Stir frequently and be careful not to burn the mixture (if you burn it, clean the pot and start over). Adding flour to the melted butter. 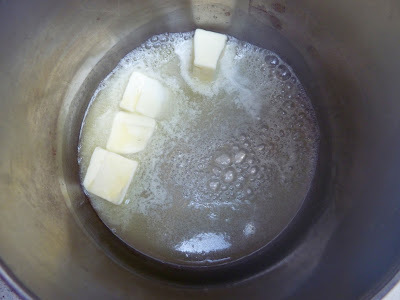 Cooking the butter and flour mixture for 4-5 minutes until it is fragrant and thickens. 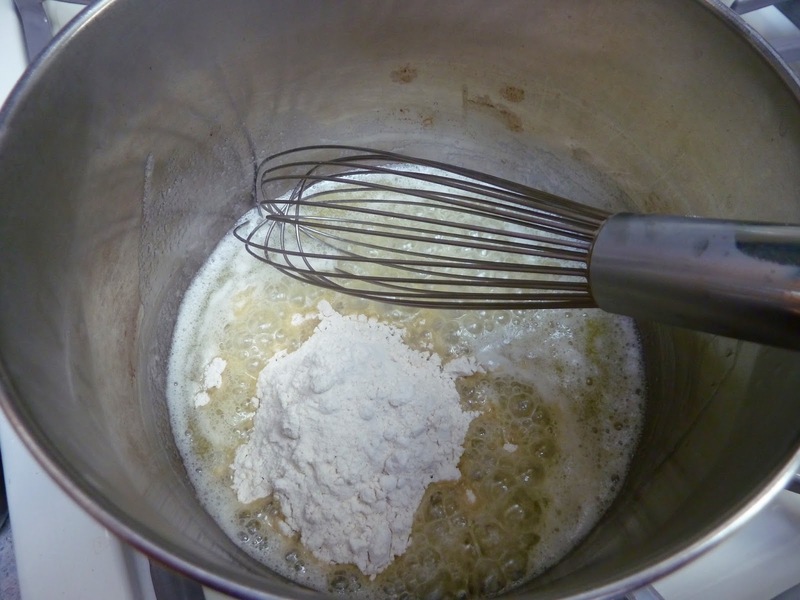 Add the milk and whisk it into the flour mixture. Bring to a boil, then lower the heat and simmer until it thickens slightly. Milk whisked into the butter and flour mixture. 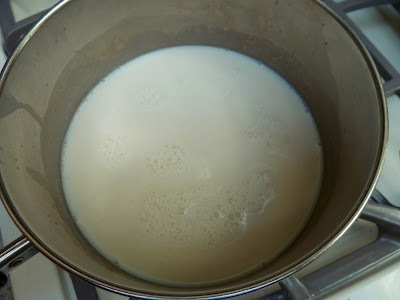 Milk after cooking and thickening a bit. Add the salt, pepper, onion powder and mustard powder and mix well. 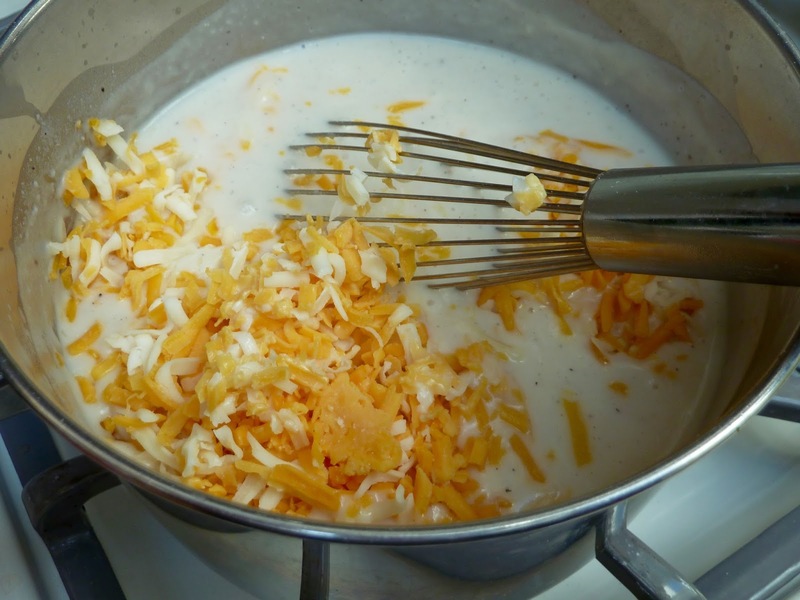 Add the grated cheeses and whisk and continue cooking until the cheese is melted and starts to simmer. Adding the cheeses to the thickened milk mixture. Cheese and milk mixture after it cooks and thickens a bit. 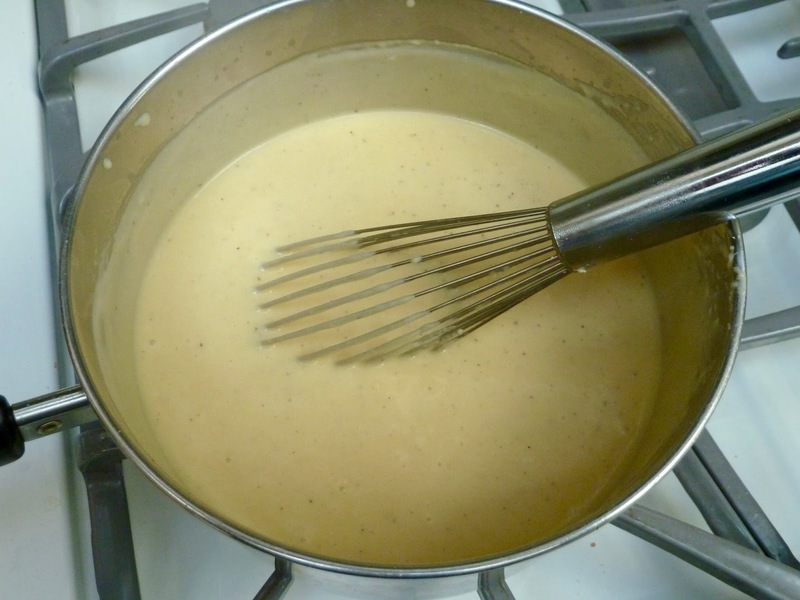 Mix the cooked and drained pasta with the sauce and stir together well. Enjoy! 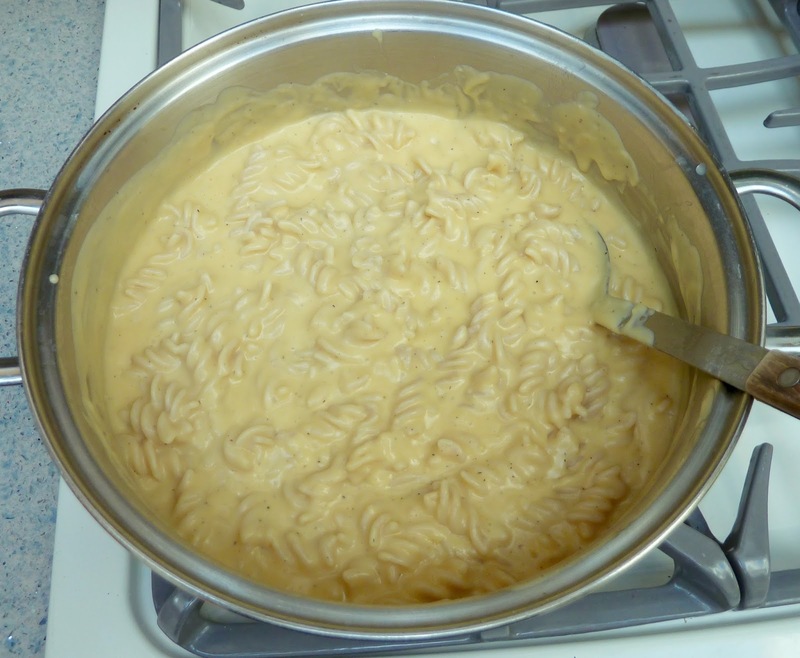 GLUTEN FREE STOVETOP MAC AND CHEESE Ingredients 1 lb. package GF pasta. Elbows, Small Shells and Spirals work best. I use Tinkyada brand rice pasta. 1/4 cup Unsalted Butter For Dairy Free or Vegan use Oil such as olive or canola. 1/4 cup Brown Rice Flour 4 cups Milk For Dairy Free or Vegan use non dairy milk such as almond, rice, soy or coconut. 2 cups/8 oz. Grated Cheese - cheddar and or jack work well. For Dairy Free or Vegan use dairy free or vegan cheese. I like to use the Daiya mozzarella. 1/4 cup Parmesian Cheese - grated For Dairy Free or Vegan use dairy free or vegan parmesian cheese. I like to us the GoVeggie brand. 1 tsp. (or to taste) Powdered Dry Mustard 1 Tsp. (or to taste) Granulated Onion Powder 1/2 tsp. (or to taste) Pepper 1/2 tsp. (or to taste) Himalayan Sea Salt Directions Add a tablespoon of oil to the pot of boiling water and cook the pasta according to directions on the package, but undercook it by 2-3 minutes so that it is al dente. The pasta should be just done: firm, but not crunchy inside. When the pasta sits in the sauce it will get a bit softer, so be careful not to get the pasta mushy to start with. Drain. If the sauce is not ready and the pasta will have to sit in the pot for a while, rinse with water to prevent it from sticking and clumping together. Return the cooked, drained (and rinsed if needed) pasta back to the empty pot. Heat butter or oil in a large saucepan over medium heat. Add the flour and stir until the mixture thickens and gets fragrant, 4-5 minutes. Stir frequently and be careful not to burn the mixture (if you burn it, clean the pot and start over). 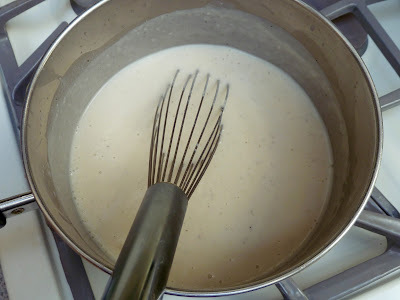 Add the milk and whisk it into the flour mixture. Bring to a boil, then lower the heat and simmer until it thickens slightly. Add the salt, pepper, onion powder and mustard powder and mix well. Add the grated cheeses and whisk and continue cooking until the cheese is melted and starts to simmer. Mix the cooked and drained pasta with the sauce and stir together well. Enjoy!